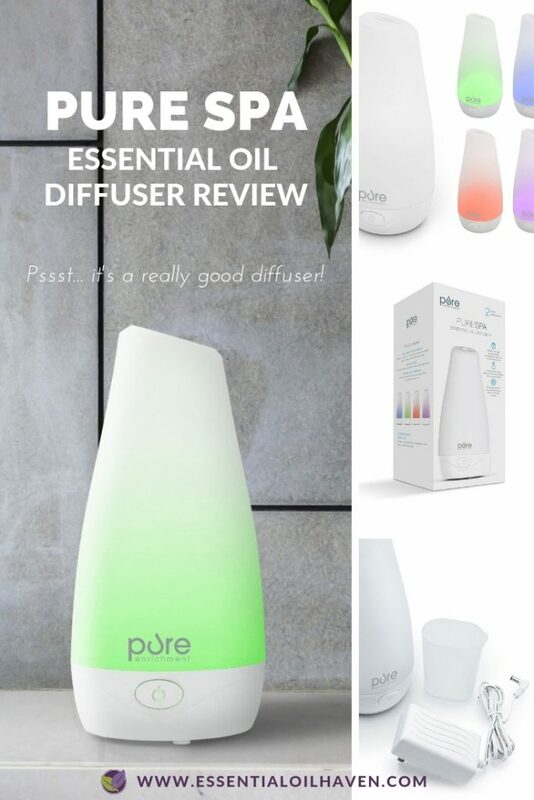 Pure Spa Essential Oil Diffuser Review - Best in Class!!! Its simple one-button, three-touch operating mode is so easy to use! 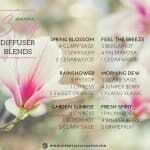 You may also have come across this diffuser under the name of “Pure Enrichment Diffuser”. The company is called Pure Enrichment and the model of this diffuser is called Pure Spa Essential Oil Diffuser. The company does sell a second diffuser, the PureSpa Deluxe, which I will review for you soon. On a full tank of water, the Pure Spa oil diffuser can run up to 7 hours, so you could have it running all night if you like. The water container is 100 mL, which is quite standard in a lot of diffusers these days. Included in the package is a convenient water measuring cup that you can use to fill your diffuser unit so you don’t accidentally overfill it and use too much water. Yes, it most certainly does! The neat thing about this auto shut-off mode though is that the diffuser will NOT make a beeping noise when it turns off. It will just turn itself off when the water is empty. This is a great feature as some light sleepers may get disrupted at night when their essential oil diffusers shut off. No worries about beeping noises with this unit though! The PureSpa Essential Oil Diffuser refreshes and moisturizes the air in rooms of up to 250 square feet. This is the size of your average home office or large bedroom. It sends out a constant mist versus a loud big puff of oil every once in a while. As with any electric appliance, the Pure Spa oil diffuser does have a gentle, whisper-like operating noise. It is nearly silent though when running, though you might hear an occasional soft whirl or dripping noises from condensation falling back down from inside the cover. The Pure Spa diffuser will rotate lights, but you cannot leave it on one colour steadily. Yes! With it’s simple one-button, three-function operation capabilities, you have three options: 1. mist on no light, 2. mist on with changing lights, 3. mist and light off. The changing lights slowly fade and rotate between white, green, blue, red and purple. 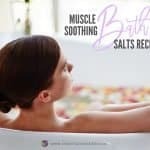 It creates an ambiance perfect for use in a nursery, office, spa, yoga studio, or in any room of your home. Unlike other diffusers, you cannot leave the Pure Spa diffuser on one solid color of your choice – but I’m fine with that since it means you don’t have to click the button a bunch of times to cycle through all the different colors. Keeps the operating button simple! Caring for the PureSpa diffuser is very easy. Rinse it out after each oil change, and wipe it out with a cloth about once a week. 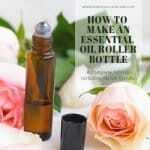 Read more essential oil diffuser cleaning tips here. 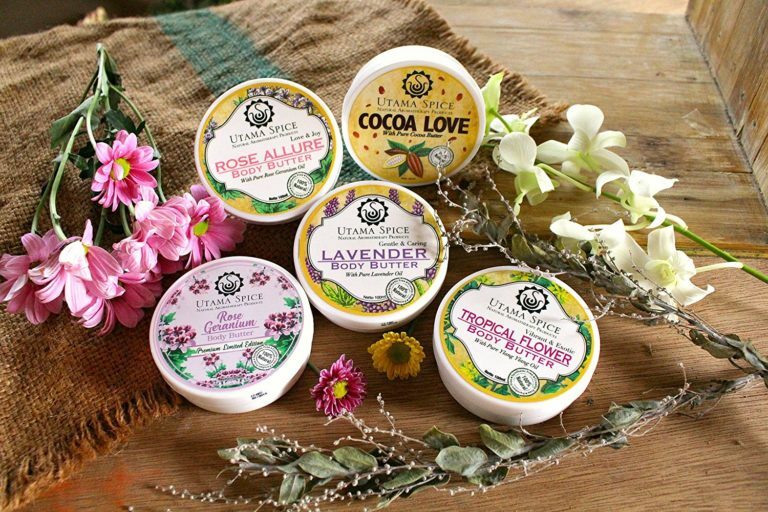 PureSpa is backed by Pure Enrichment’s industry-leading 60-days money back warranty- WOW! 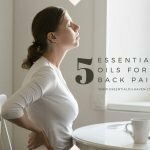 This Pure Spa aromatherapy diffuser is backed by Pure Enrichment’s industry-leading 60-day money back guarantee for defective parts/products. You are also able to register your product on their website to ensure you always get the latest updated information and best customer service possible. To-date, I couldn’t find any reviews under 4/ out of 5 stars. Overall, most people are rating it 5 stars/ out of 5! 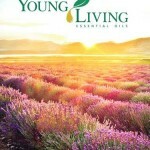 As I hope you agree with after reading my Pure Spa diffuser review, this is an amazing essential oil diffuser product! Its industry-leading 60-days money back warranty speaks strongly for this brand and product. The Pure Spa oil diffuser is ultra-simple to use, and it doesn’t have any added unnecessary features. The only thing some people might not like, is that you can’t leave the light on one solid color. 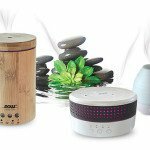 Want to learn more about this essential oil diffuser? 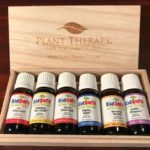 Previous Post: « Which One Is The Best Essential Oil Diffuser For Under $40? Hi, I was looking at this diffuser on Amazon and then came across your review…very helpful. 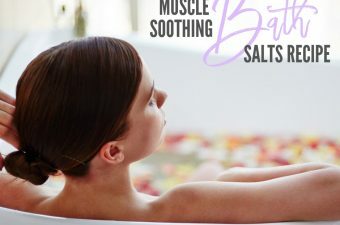 Do you know if tap water can be used in this Pure Spa diffuser? It’s so much easier than buying distilled. Hi Laura, thanks so much for writing! Thanks for the great diffuser. It is simple and it is fun to watch the light show. I would recommend 5. It’s a 5 from me. I recently purchased this diffuser because of the great reviews. However, I don’t really smell too much when I’m diffusing the oils in my bedroom. I’m currently using doterra eucalyptus. Any advice? I’m not sure how potent the aroma should be from the oils and this was using 6 drops. Hey Nicole, thanks so much for writing. 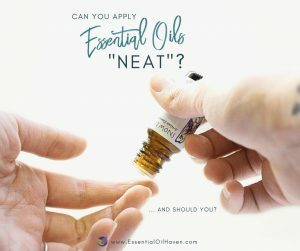 Two things: yes, you could definitely try increasing how many drops of oil you use if you feel the scent isn’t quite what you want. The other thing to look at would be your bedroom size and/or if it has vaulted ceilings, is in a loft, or the like. A larger area might add to the thinning out of the smells in your room. These diffusers are always rated on average room sizes and uses, so if your bedroom isn’t “average”, you’d have to look at a diffuser that covers a larger space. Or, again, just add more drops of oil to cover your space. 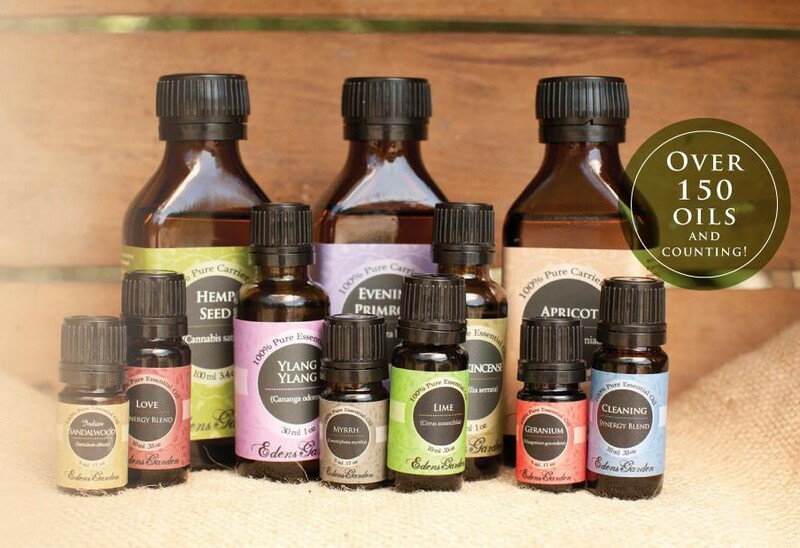 Please also try out your diffuser with different oils, to ensure that the problem isn’t with the oil itself. 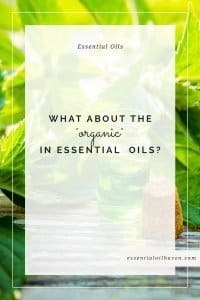 I usually have very strong/good results with spearmint oil, it smells fresh, uplifting and definitely fills the space with scent! 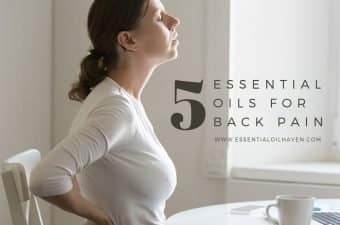 However, if you have oils in the unit, and you can’t smell them even when your nose is close to the diffuser mist, then maybe the particular unit you received may have other malfunctions and you may like to ask their customer service for an exchange. 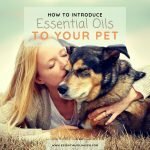 I am new to the essential oil world, and I know a lot of diffusers can not be used with citrus essential oils. Is this so for this diffuser? Hi Kristy. The reason many diffusers recommend to not use citrus oils is because citrus oils can be very corrosive to the plastic used in the manufacturing of these electric units. The Pure Spa diffuser is also made of plastic, so I would say the same recommendations apply here. 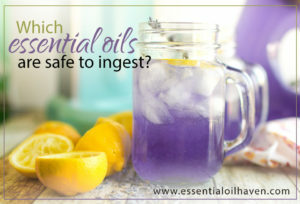 Of course, it’s not forbidden to use citrus oils – it’s just that the recommendation is not to, in an effort to have your diffuser last a long time and not have oils attack the plastic. 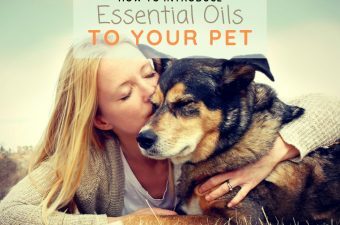 You can still use citrus oils in other ways, for example by inhaling them after you rub them in the palms of your hands together with some carrier oil; or in a refreshing massage together with massage oil. 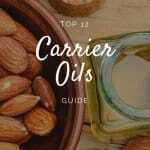 What happens if you do use citrus oils? Hey Rachel, thanks for your question! Citrus essential oils interact with most plastics, breaking them down. What that means exactly for your case will depend on the type of diffuser you own, the quality of plastic it’s manufactured with, and the type and quality of oil you’re using. You may start noticing discoloring in your diffuser sooner than if you kept your diffuser citrus-oil-free. 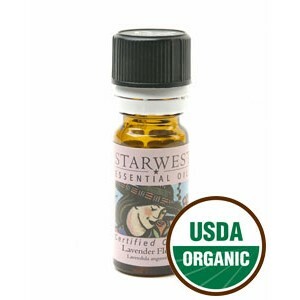 In general, it’s just best and safest to stay away from citrus oils in plastic diffusers. 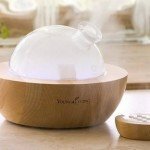 What are the dimensions of the Pure Spa diffuser? Hey Debbie, it’s about 8.2″ tall and about 3.5″ at widest point at the bottom. The top is about 2.5″ wide only. Love it! Used for the first time last night thought my husband would object to it first thing he said this morning was that thing is awesome! Used the breathe oil it was so nice and not so over powering. Hi! 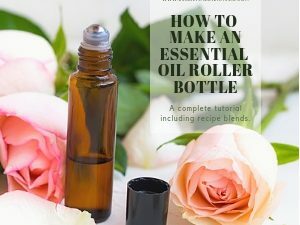 i love my diffuser but for some reason today it wont work? it will light up the red light and make the sound but it wont start, what can i do?? thanks so much for your help!! Very disappointed with this product. Had black smoke pour out of it after only 6 weeks of using it. Then it stopped working. Hi Char. Sorry to hear you’ve had a bad experience. Perhaps contact the seller (if you bought on Amazon) and cash in on their warranty. They do have an industry-leading 2 Year Warranty so your satisfaction should be guaranteed. Tested with essential oil. Day 1 verdict: Love it instantly! It’s quiet, adequate for a bedroom, beautiful changing colors, size slim & slender and easy to operate! I just bought one today and I don’t see any mist coming out I had it on for about a half an hour and was wondering why it’s not misting yet. I can smell it but don’t understand why there is no mist. Hi Marissa, would you be able to contact the Amazon seller with your inquiry directly? They are the ones that can warranty your unit and help you out with possibly a replacement if needed. I purchased a diffuser through Amazon, discarded my paperwork and my defusser does not work. It does not turn on…i also purchased all the oil. Please help me. Hi Marlene- all order information and “paperwork” from Amazon is available online through your account. Just log-in, find your order under your account, and go from there to request a return or replacement. I purchased one at TJ Max for a friend’s birthday gift. She loves it, but it LEAKS! She does not have the box or receipt. Any suggestions as to how to get in touch with the company or what might be the issue? I am going to get her a new one of a different brand, but would like to resolve this issue. Hi Vanessa, please double-check that you haven’t filled your unit ABOVE the max line. Every diffuser I’ve tested so far has issues if you overfill it. Then the mist just accumulates in the body of the diffuser, without pushing it out the top. Even if you start a little below the max line, perhaps the fix for your unit is as easy as that? Let us know how you make out! When I first use the diffuser I can smell the oil for about 30 mins. After that I don’t smell the oil. The water in the tank seems warm. Is my unit not working properly? I clean the unit after each use. My diffuser only has mist rise about 6 inches andbit puddles on the floor. Suggestions? Thank you!